Hunters are starting to get giddy; there are smiles on their faces and a spring in their step. Controlled hunt application season must be approaching fast. The application period for fall controlled hunts begins May 1st and ends on June 5th. Hunters apply during this time for deer, elk, pronghorn, fall black bear, and fall turkey hunts. During this past winter, the department reevaluated the hunting seasons and tags for big game. The 2019-2020 Idaho Big Game Seasons and Rules are available ONLINE. Printed brochures will be available at vendors and Fish and Game offices by May 1. In March, the Idaho Fish and Game Commission set big game hunting seasons and rules for 2019-2021, which included expanding bear hunting opportunity in the Southeast Region. With spring bear hunts upon us, hunters are reminded that bear hunting regulations this spring are the same as they were in spring 2018. The recent changes to bear hunting regulations in southeastern Idaho are not applicable until after the approved big game rules take effect July 1, 2019. The state's spring black bear season opens on April 1 in a number of units in the state, providing Idaho hunters with a chance to hunt big game in the spring. 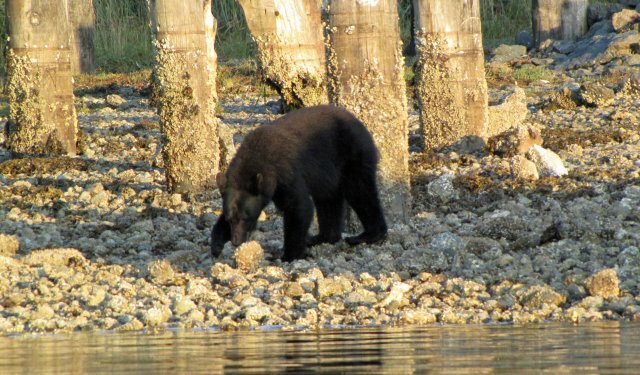 The balance of units with spring black bear hunts are set to open on April 15. Many parts of the state offer general hunting seasons for black bears, but hunters can not take any female bear with young. Here are the black bear seasons and rules. The spring black bear drawing is complete, and the results have been posted through Fish and Game’s licensing system. Hunters who already have an account can check to see if they drew controlled hunt tags for spring black bear at https://idfg.huntfishidaho.net/login. Tuesday, March 5, is Big Game Measuring Day at the Southeast Regional Office of Idaho Fish and Game located at 1345 Barton Road in Pocatello. Idaho Fish and Game's proposed changes for the 2019 & 2020 big game hunting seasons are now available online for public review and comment. The proposals for deer, elk, pronghorn, black bear, mountain lion and gray wolf are listed by region and are available at: https://idfg.idaho.gov/rules/big-game/19-20-proposals. Only those seasons and hunts for which changes are proposed are listed. All others will remain the same as they were during the 2017 & 2018 hunting seasons. Trichinosis is a disease caused by a nematode parasite, Trichinella spiralis. Trichinosis occurs throughout North American and can be found in grizzly bears, polar bears, black bears, feral swine, mountain lions, wolverines, wolves, coyotes, and foxes. Trichinosis has been documented in black bears and mountain lions in Idaho. Trichinosis has been documented in humans associated with consuming home-made jerky made from a cougar and a black bear in Idaho. Animals infected with trichinosis generally appear healthy. Trichinosis is hard to detect when butchering because there are few lesions and the cysts are very small. The cysts are most common in the muscles of the jaw, tongue, and diaphragm. Animals that are infected with adult worms may have swollen intestines with small bruises on the intestinal wall. Affected muscles and associated lymph nodes may be soft and swollen.